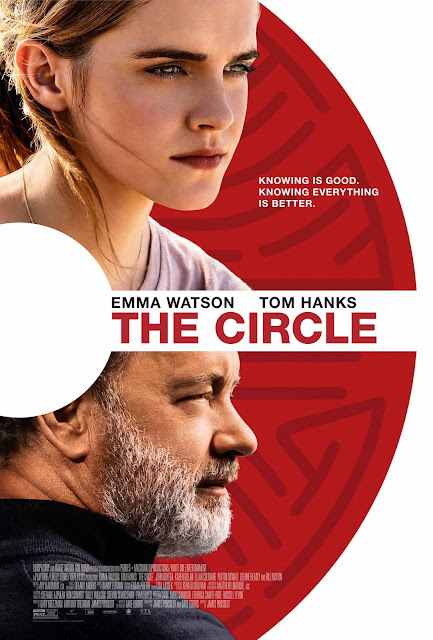 Tom Hanks and Emma Watson star in “The Circle,” set in the not-too-distant future where privacy becomes criminal and we are forced to confront ourselves on the price we have to pay for knowledge. In the future, would you be a better version of yourself if you knew you were being watched 24 hours a day? What would the implications be of a transparent society? There are people that we want to be transparent – our celebrities, our criminals – for our own voyeuristic pleasure, or our safety – and others of whom we feel entitled to demand their transparency – our elected officials, our law enforcement. Where is the line? The concept of totalitarianism is historically thought of as a construct that would be forced upon us – but what if we are complicit, even unwittingly, in our own oppression? When Mae (Emma Watson) is hired to work for The Circle, the world’s largest and most powerful tech and social media company, she sees it as the opportunity of a lifetime. As she rises through the ranks, she is encouraged by the company’s charismatic founder, Eamon Bailey (Tom Hanks), to engage in a groundbreaking experiment that pushes the boundaries of privacy, ethics, and ultimately her personal freedom. Her participation in the experiment, and her every decision begin to affect the lives and future of her friends, family and that of humanity. The film also stars John Boyega (Star Wars: The Force Awakens) and Patton Oswalt (“Agents of S.H.I.E.L.D,” “The Goldbergs”) as the company’s other founders. Bill Paxton (Edge of Tomorrow, “Big Love”, Titanic) and Glenne Headly (Don Juan, Mr. Holland’s Opus) play Mae’s parents. Karen Gillan (Guardians of the Galaxy, The Big Short) plays Annie, Mae’s best friend. The film is directed by James Ponsoldt (“Master of None”, The End of the Tour, The Spectacular Now) with a screenplay by James Ponsoldt and Dave Eggers, based on Eggers’ novel. “The Circle” opens May 3 in cinemas from Pioneer Films.